I LOVE Christmas! It's my most favorite time of the year. I Love everything about it...hot chocolate, the lights, my Christmas tree lit up in the dark, Christmas movies, Christmas music, and everything else. Especially the REAL reason we celebrate Christmas! So, with that said, it's beginning to look and feel a lot like Christmas in our classroom as well. 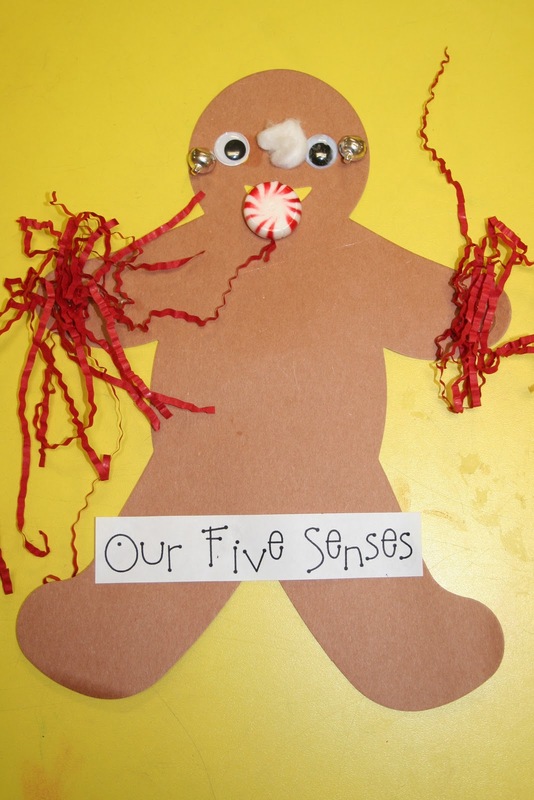 This week we have been doing gingerbread activities and learning about our five senses. I won't list everything we've done because we've been busy little kinderelves, but I will post pictures of some of the things we've been doing. This week has been a blast! Our tree is up, there are a few ornaments on it with more to come, and the Christmas music is on....ALL the time. Here the kids are spinning a candy spinner and graphing what they spin. They play until one column reaches the top. This determines the winning candy. Last they count each column and record the number. This math center is a roll and cover game. They roll the cubes, count the dots, and cover that number. A friend of mine told me about these kind of Math Their Way games. She counted and realized she already had four covered. 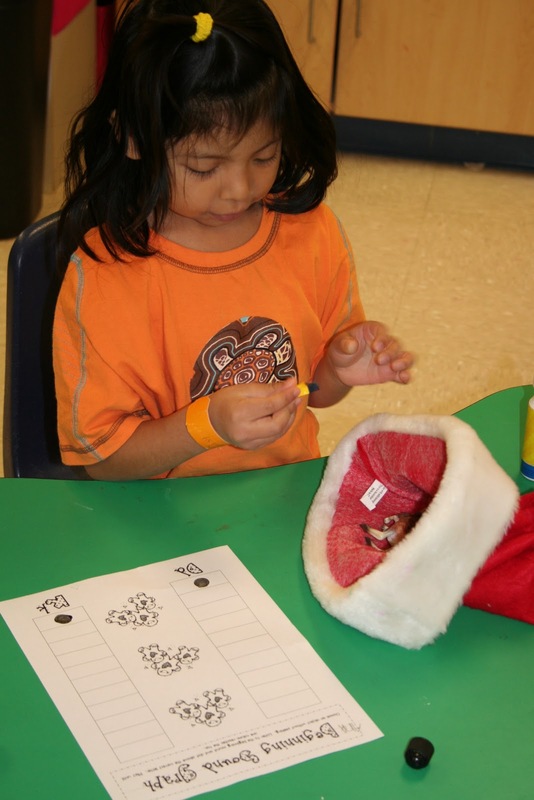 In this game, the kids have to roll two dice, count the dots, and write the number. 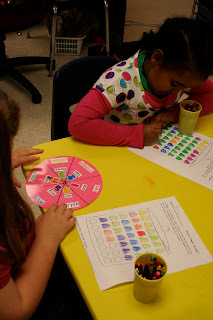 This game requires counting, recognizing numbers/number words, and color words. 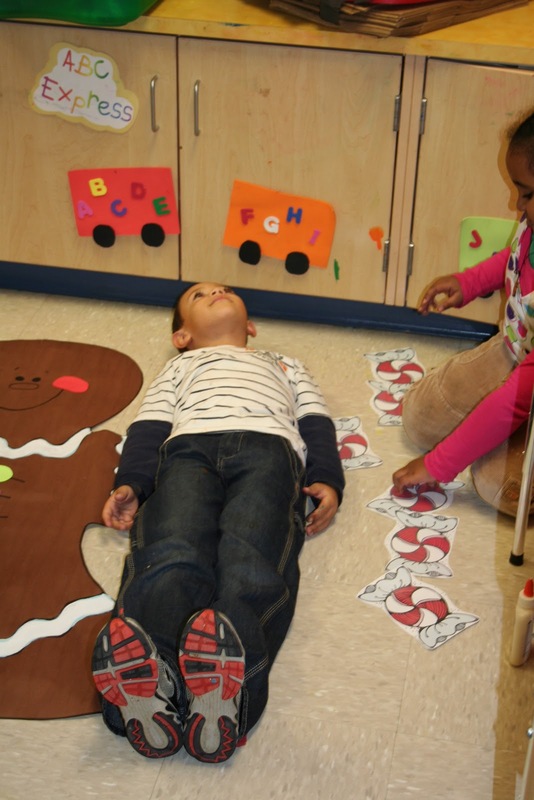 For writing center this week, they had to catch the gingerbread men around the room and record the word to match the picture on their sheet. We charted our five senses then made our own mini-sized 5 senses gingerbread men. The cotton is sprayed with a body splash. I adapted this idea from a Mrs. Estes. 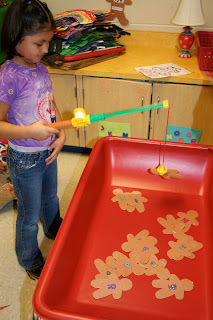 They had to "catch" gingerbread men here and find the matching letter and dot it with a bingo dotter. For fellow teachers who may be reading this...after paper-clipping all of those ginger people last year and the clips falling off after every "catch", I had the idea of just stapling a staple in each one. It worked just as well and so much easier than paper clips. Our first ornaments for this year...beaded candy canes. Here we are painting our gingerbread men glyphs. This was probably our most favorite literacy center. They pulled an object (from our Lakeshore sound tubs) out of Santa's hat and graphed it on their paper. Which one will win...D or K? So much fun! 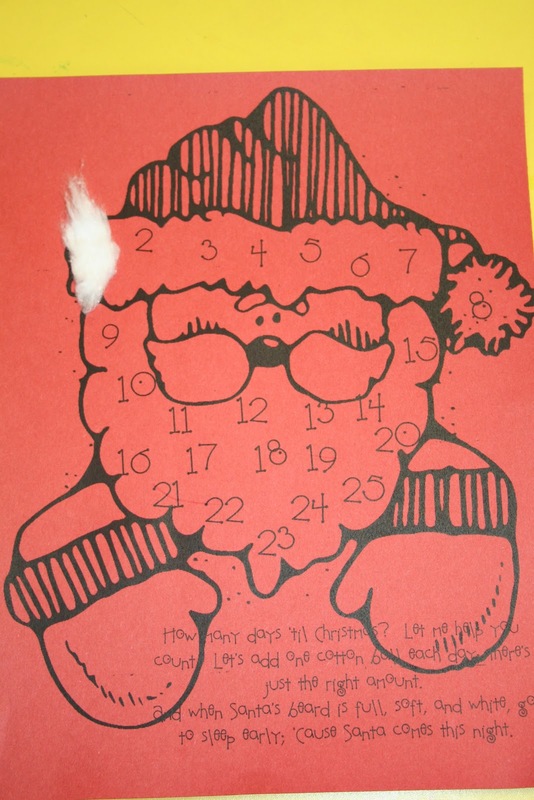 This is our countdown to Christmas activity. Parents, help your child remember to cover one number each night and they can countdown to see how many more days until Christmas. The kids loved this. They had to measure the gingerbread man first with peppermints then they had to compare their own height to the gingerbread man. Are they taller or shorter? I think we actually had on little one that was shorter than him. 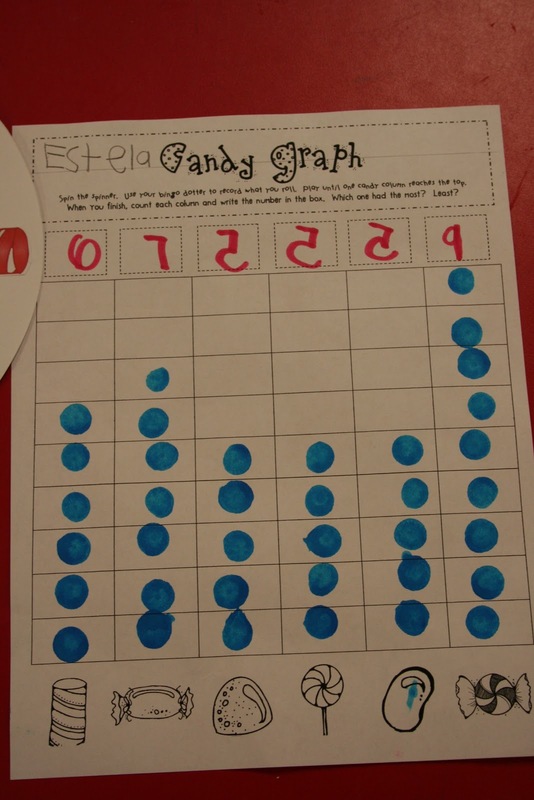 Did you make your sheets to go with the math games? I would love a copy or know where to get them. LOVE THEM! you are so creative! Ditto what Kristen said. Ditto here too, you have great stuff! It looks like such fun learning has been happening!! Ditto! Would love for you to share if you would! If you're willing to share, our class would love your gingerbread ideas! WOW! I'm with all of the above comments! If you wouldn't mind sharing I would be so psyched to use these too. I think your blog rocks!!!! Fun, fun, fun!!! I would love a copy of all these if you would be willing to share with us:) Merry Christmas! Thanks for sharing all these great ideas. I love the large gingerbread man activity. Thank you for sharing these wonderful ideas!Your ideas are very creative. I would also love a copy of the your sheets that accompany these activities. Thank you again! Can I join the party? I would absolutely LOVE a copy too! If you are willing to share! :) We are doing gingerbread men for the next two weeks! I'd love copies of these pages, too, if you're giving them out. My class is in the middle of our gingerbread man theme right now. Your ideas are adorable, engaging, and meaningful. Can't ask for anything more! I especially love the santa hat/ letter sound graphing idea. ditto everyone above. copies would be amazing! asbigelow@dekalb.k12.in.us thanks so much! You are incredibly creative. I too, would love if you were willing to share the copies of these activity sheets. These ideas are just fantastic. I am planning on doing a gingebread unit. I would love a copy of your activites, if you are willing to share. THANK YOU! I appreciate your creativity! If you are able to share I would love to use them in my room! Thanks for your time and talents! Your kinder kiddos are having so much fun! If you are willing to share your worksheets, I would love to use them in my classroom. We are just getting ready to start our gingerbread unit. WOW!! What great ideas! The kids are having such a good time! If you are sharing,I would love to use your things. 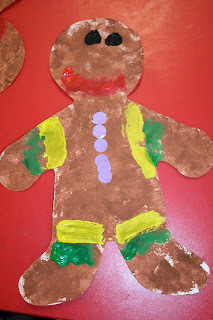 We just started our gingerbread unit this week. I enjoy you blog and your great ideas! I'd love to use some of these ideas with my students, if you're willng to share any of them. Thanks! I agree with all that has been said. The activities look like so much fun. I'd love copies too, if you are able to share. I made the stuff as best as I could and added a fun writing activity to it if you guys want a copy. You can download it at my blog. I needed it quick because we only have 2 more days and we are out! Hello all....I am trying to figure out the googledocs thing so I can get these things posted for all of you. I thought it would save me some time. I'll get them to you all as soon as possible! Thanks for all the sweet comments and for visiting my blog! I would love copies if you are sharing.Thank you!! !What a fun classroom you have!!! So far I really like it! I have seen it used on other blogs for documents, and it works really well!!! You can link it up to your blog. Best of all...FREE!!! I can't wait to try these ideas with my kiddos! I love your gingerbread man ideas!! If you are sharing, I would love a copy of them. stumbled upon your blog. Love all the ideas. If you are sharing I would love a copy. I am now following your blog. Love all the ideas. I would also love these if you are sharing. They are wonderful! I love the learning that is incorporated with having fun! I know my class would love these activities! So, if you figure out how to download them to googledocs, I'd love the copies! azbrownies@yahoo.com Merry Christmas! I too have just discovered your blog. I recreated some of your Thanksgiving center for my little kindergarten darlings. I would also love copies if you are sharing. You're awesome! 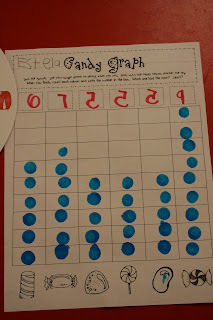 I'd love a copy of your candy graph..if you're willing to share =) Have a great night! I am also interested!! We are doing a gingerbread theme now next week, culminating with our holiday party! You have such great ideas! I was wondering if I could have a copy of your math and literacy activities if you are willing to share. These are soooo adorable!! I am joining the chorus who would love a copy of your activities if you are sharing them. Thank you so very much!! I would love a copy too- if you are sharing. You have some of the best ideas. I love all these centers! you have some of the most creative centers I have ever seen! Is it possible to get the blackline masters for all the stuff in this post? That would be great!! Thank you so much for all your great ideas and help. I just love love love all your ideas. Could you possibly share your files? Have a great weekend! Jen and Jessica, get your e-mail address and I'll be happy to send the stuff to you! Thanks! Great ideas! We have been having lots of fun with gingerbread activities too. I would love to borrow some of your ideas if you are willing to share. Thanks! Wow, what great ideas! You are very creative. I also would love copies of your activities, if you figure out how to post them. Thanks & Merry Christmas. These are so cute! I love that technology makes it so much easier to share such great ideas. I would also love any of your gingerbread resources you are will to share. Thanks for all you hard work! Teachers like you inspire the children you teach, I am sure all your little kiddos love school. Fabulous teaching ideas......your kiddos are lucky to have such a enthusiastic teacher. I would love any gingerbread materials you are willing to share. I have been transitioning into a new teaching position over the past week and will take over the kindy class on Monday......these would be great for our last 3 days before break. Love the ideas!!! I would also love a copy of the gingerbread materials!!! I am inspired...I have been in such a rut and now I feel like I have a few new tricks...Thank you for sharing your ideas!!! I love the ideas you posted! I would also love a copy of the gingerbread materials! It is so inspiring. I love your gingerbread centers. I would really appreciate a copy of your center sheets. I am already planning ahead and getting ready for next year. Thank you so much and my students thank you too. Love these ideas! I am working on putting together binder themes for next year and would LOVE a copy of your center sheets. Thanks! I know that it is not Gingerbread time quite yet, but I am working on planning for next year. Would you please share these activities with me? I will be happy to make a donation to your Donors Choose project. sarah.perry10@gmail.com Thanks so much!! Wow,love all of the great ideas. Are you sharing these activities or have them at Tpt? would love to have a copy. This is the first time I have seen your blog and I too am fascinated with all the activities. Would love to have a copy of the recording sheets, etc. too. I recently found your blog too and LOVE all your fun ideas. Are you still sharing these wonderful activities? I too would love copies. Did you give out copies? If so I would LOVE a copy! I know I am kinda late or early for this year...but can you email me a copy of your Gingerbread stuff? Thank you so much! I love your blog! I'm starting to plan my gingerbread unit for the upcoming holidays. If you're willing to share, please email me a copy. Thanks so much! You're an inspiration! I'm in Australia, and would love any copies of your activities if you are willing to share! I have just discovered your blog after googling for Christmas ideas, and love your ideas. Will definitely be visiting again! I know everyone else has already said how cute all your g-man ideas are! I'm planning for December and was wondering if you are sharing your copies! Thanks! p.s. I purchased the Autumn Literacy Center and love it! I also love all of your ideas! If you are sharing them my email is LBrandimarto@gmail.com. Or if they are posted somewhere and I missed it please let me know! Thanks! I LOVE the gingerbread unit as well! Will you be selling it on TPT? Or are you willing to share?? I would greatly appreciate it!! I would love to use your ideas too! If you would share, I would love it! I would love the worksheets as well.You are so creative and an inspiration. What fabulous ideas! I'm always on the lookout for great new ideas and I've found many on your blog. What an awesome teacher you must be!! If you are sharing your worksheets for the gingerbread man theme I would love a copy! You have such amazing ideas! I love the gingerbread unit! do you share your materials or is there a place to purchase them? I am super interested! If you share my e-mail is bowmatl@d11.org or luckybud16@hotmail.com I would appreciate being able to use these resources in my classroom! Thank you so much! I, just like everyone else, loved these fabulous ideas! I would love to have a copy of your worksheets also, if you're willing to share! Thanks for your great ideas! Just like many of the others, I was also wondering if I could get the black line copies of all of these wonderful centers. I love all the Gingerbread ideas thank you for sharing. 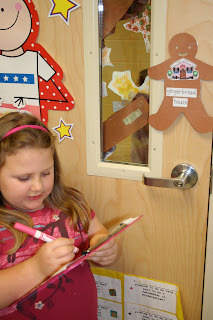 Christmas is my favorite time of year and the Gingerbread Man is one of my favorite units I do in Kindergarten. Wow! just found your site! I love all of your ideas!!!! Do you have copies of your activities? I am planning December ideas and gingerbread is always fun. I agree with all the above. Would you be willing to share the templates? Thanks so much for taking the time to post your ideas. What fun! I love love love this time of year! I have never done a gingerbread unit before and I am SO excited to start planning one! I would super appreciate a copy of your wonderful templates. Thanks! Very inspiring, very creative! I would love a copy if you are sharing. Thanks so much! Very creative ideas!! My students love doing the gingerbread theme and would really appreciate any copies you are willing to share! Love your gingerbread activities! Would appreciate any copies you could share! Thanks so much!! Darling activities! I would LOVE copies of your centers. I'm starting my gingerbread unit in two weeks, and I know the kids would love these activities! Thank you, in advance! 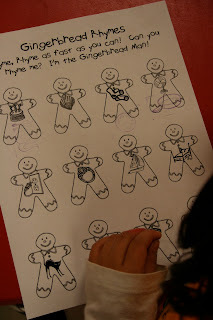 As others have stated..I would love copies of your pages for these gingerbread activities. I would appreciate it if you would share your great ideas with a fellow teacher! 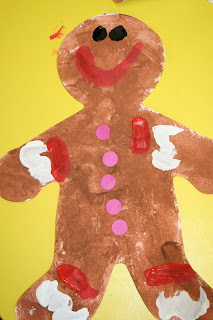 We will be beginning our gingerbread unit when we return from Thanksgiving and would love to add this to the unit. We would greatly appreciate you sharing your activities and recording sheets. Thank you so much! Can't wait to see this unit on TPT soon! (HINT HINT!) Thanks for all your fun activities. Would love to use this unit with my kiddos. So much fun! Could you please send me copies? Have a very Merry holiday season! I love your gingerbread activities. I would love to do these with my first graders. Would you be willing to share your activities and recording sheets? If they are on TPT, I would love to purchase them. 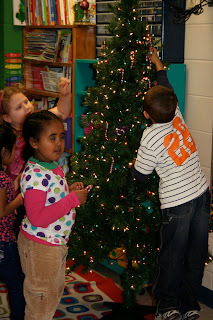 I am starting Gingerbread unit with my class. Could please share your copies with me. I think your unit is awesome. Your Gingerbread unit looks like it really engages the children and they are having fun learning. These are the kind of ideas I am looking for for my students. I would love a copy of them or are they on Tpt? What font do you use on your recording sheets and how do I get it? I LOVE IT! Thank you for all of the wonderful ideas! Your ideas are incredible! I am willing to pay for the unit in TPT, but have never done that before. Is it secure? So cute....I love your units. They have made my year much more fun. Going right over to TPT to purchase the gingerbread unit. I would be willing to buy the gingerbread masters on TPT. If you're emailing them out, that would be amazing! Thanks! Hi Julie. Did you ever manage to share these? I love your ideas. I am always looking for new ideas. Thanks for sharing yours! Hi! I love your page. Your ideas are amazing! If you are willing to share, I would love copies at menicci4@yahoo.com. Love your gingerbread stuff....would love copies of everything if you are willing to share? Great ideas kept within a very exciting theme! If you could forward the copies to a_mcgovern@live.com that would be fantastic! I'd love copies of your centers & activities!! Great stuff!! Thank you Julie!!! Julie - I am a huge follower of your tpt store and blog! If you are willing to share some of your gingerbread things, I would love it and appreciate it too! Also if you have a copy of the Santa countdown I would really like that! I have been looking all over for one like it, but can't seem to find it anywhere! I stumbled across your blog this evening and LOVE, LOVE it! It appears that I am one of MANY other kindergarten teachers that would like your blackline masters. Not sure if you're emailing them out, but if so, please send them my way too! Thanks and Happy Holidays! Id the gingerbread glyph included in your TPT unit? this is a wonderful post! I love the ides that you ahve presented here. 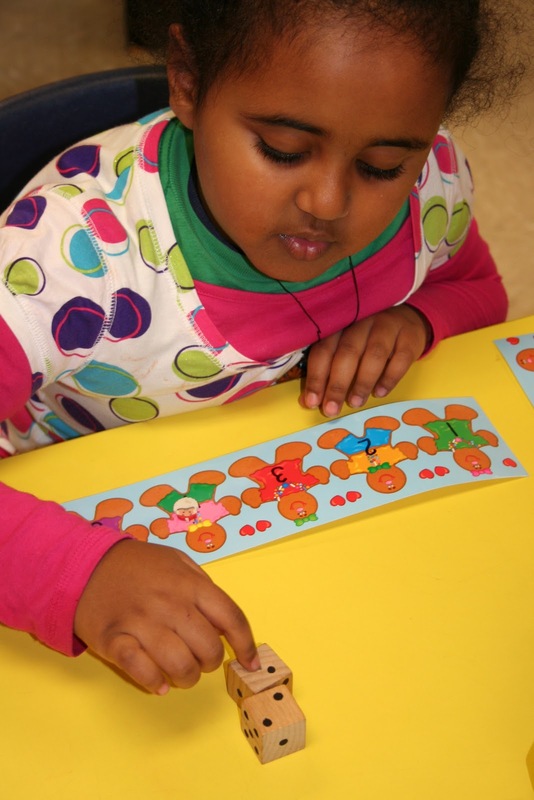 I am new to Kindergarten and am looking for great activities to keep us all motivated but build independence. I agree with those before me, i would love a copy of the masters if one is available. Thank you for all of your time and effort! 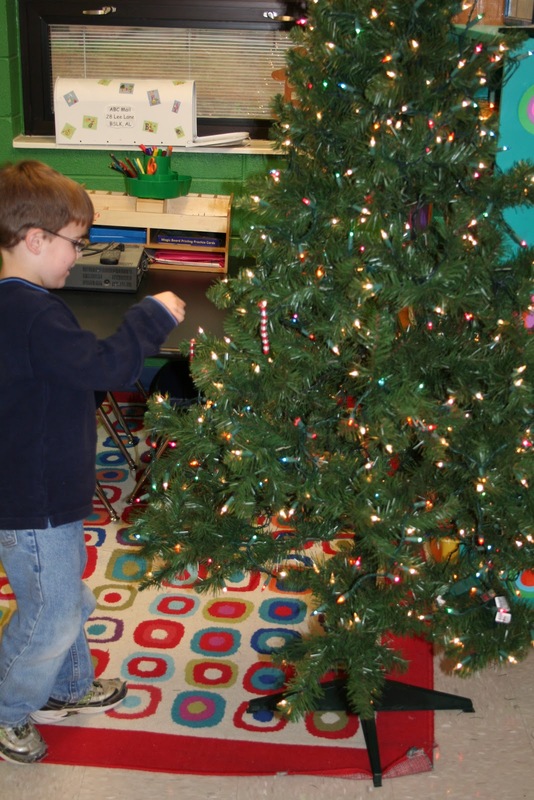 It's always so great to engage children in the Christmas preparation process. It's sometimes hard to make up a plan how to get kids involved. Your ideas are excellent. I'd love to invite you to visit my blog. Maybe, you'll find something interesting there, as well. Could I please get copies too? Love love love all of your ideas! Thank you so much!! Hello! This is my first year teaching kindergarten. 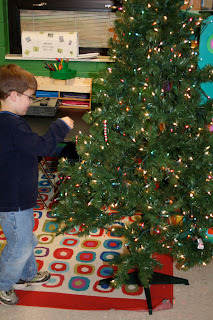 I stumbled across your blog this evening and loved your gingerbread activities and centers. 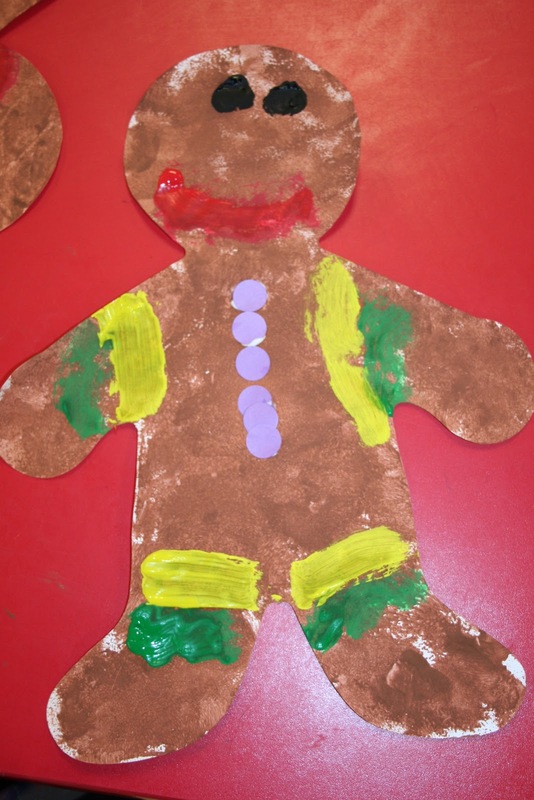 If you are willing to share, I would love to get copies to add to my collection of ideas for gingerbread man. Thank you so much! Happy Thanksgiving! Ditto to Tina's comment above...I just came across your blog and would love to have copies of your gingerbread activities and centers if you are willing to share. THANKS! Useful comments , I loved the points ! Does someone know if I could find a sample AZ DROSC13f example to use ? We Found our Gingerbread Man!